What are you looking for on the Rosario auto from Tribute? I have no idea if I have anything in your interest, but I'd love to trade for it. 08:12 PM - stangy24 mentioned MansGame in post Anyone up for a LIVE 2001 Topps Gallery and 1999 Finest Series 1 break? 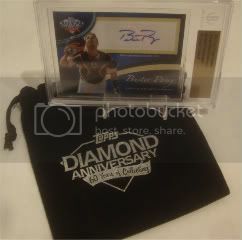 03:34 PM - MansGame mentioned stangy24 in post Anyone up for a LIVE 2001 Topps Gallery and 1999 Finest Series 1 break? ...rto Clemente book. Bruin7 you're up! 03:30 PM - stangy24 quoted pac_rat_76 in post Anyone want to do some LOW END trading??? 02:53 AM - stangy24 quoted SlackRabbit in post here i thought i won alot topps! 02:47 AM - SlackRabbit quoted stangy24 in post here i thought i won alot topps! 02:43 AM - stangy24 quoted SlackRabbit in post here i thought i won alot topps! 02:34 AM - SlackRabbit quoted stangy24 in post here i thought i won alot topps! 02:30 AM - stangy24 quoted Johnny G in post here i thought i won alot topps!